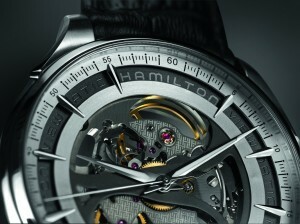 (Baselworld 2013) – Hamilton has never made a secret of its ability to know what men and women want –in Hollywood plots and in everyday life. Its exclusive new H-20-S skeleton movement is both the beating heart and exposed soul of the Hamilton JazzmasterViewmatic Skeleton,Gent and Lady.In two contrasting designs, the same movement bears almost all, continually reminding the wearer to look for beauty inside and out. Playing horological hide and seek behind skeletonized dials, these watches review the topic of gender equality from opposed angles, harmoniously agreeing to differ. 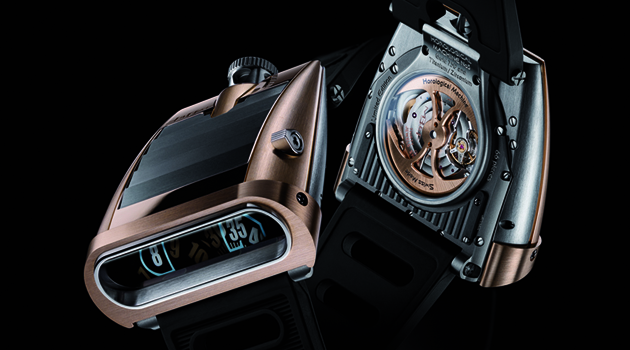 And building on the idea that opposites attract, the traditional watchmaking technique of skeletonizing meets its match with high-tech laser-engraving contributing to decoration that would be at home on coveted works of contemporary art. Proudly wearing its heart on its sleeve, the Hamilton Jazzmaster Viewmatic Skeleton Lady combines romantic appeal with meticulous detail.An unmistakably modern filigree effect creates numerous windows in a variety of shapes across the round, iridescent white dial. The overall effect has a floral-inspired character, with elegantly elongated indices posing as permanent dewdrops. Design detail invites the eye to peek through the openings to see the exclusive, decorated automatic H-20-Smovement, scattered with petal-like ruby-red detail, at work behind the scenes. A personal ‘backstage’ tour continues on the case-back, which is open.Satisfying the wishes and needs of today’s multi-tasking women is a unique new attachment concept comprising an easy click strap. 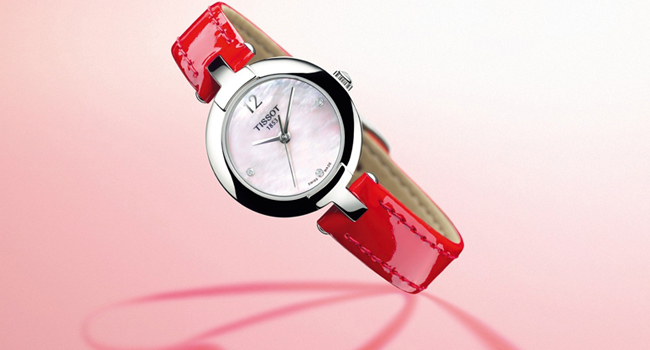 This enables the wearer to exchange a five-row stainless steel bracelet for a white leather strap, edged and lined with sumptuous rubyred, to accommodate a change in outfit, occasion or outlook. Containing exactly the same exclusive movement as its feminine soulmate watch, the Hamilton JazzmasterViewmatic Skeleton Gent incorporates a fascinating session of “show and tell”. 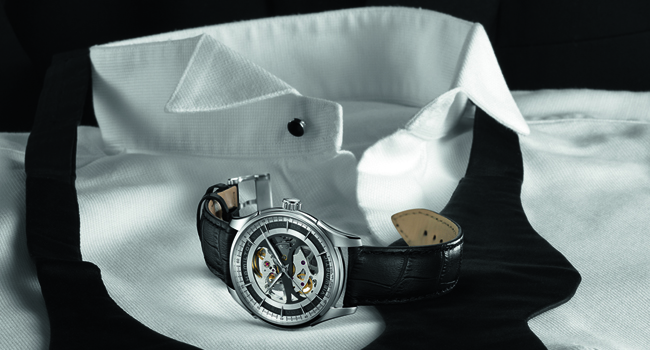 On show on both sides of the timepiece are the ultra-modern watchmaking techniques employed to create the H-20-S “engine” of the watch, telling the story of aesthetic mechanics meeting bold masculinity. Angles and curves join forces to make the dramatic, anthracite-colored cut-outs occupying the majority of the dial and even offering stolen glimpses of the wrist below. Framing this are cleverly constructed, multi-level ringsdisplaying detailed markings from 0 to 60and the branding. Contrasting with the artistic statements of the skeletonizing are applied Super-LumiNova® indices for further technical punctuation. 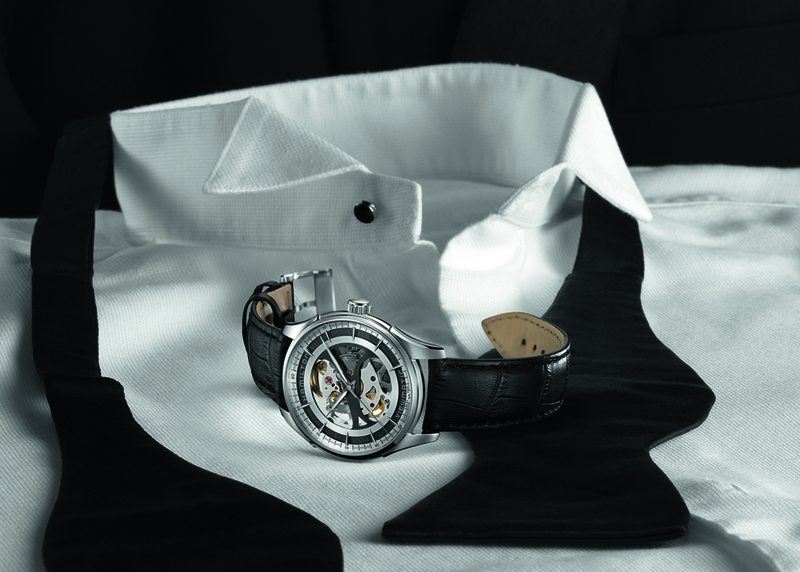 The last word comes from the choice of a five-row stainless steel bracelet or a black leather strap. Suddenly the concept of wearing your heart on your sleeve looks like having distinctly masculine appeal. Hamilton was founded in 1892 in Lancaster, Pennsylvania, USA. Hamilton watches combine the American spirit with the unrivalled precision of the latest Swiss movements and technologies.Known for its innovative design, Hamilton has a strong foothold in Hollywood, with products appearing in 400 films. The brand also boasts a strong aviation heritage. 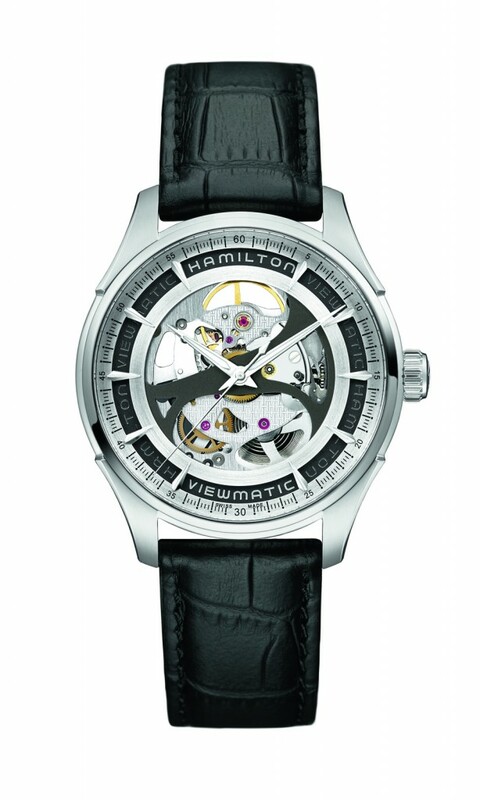 Hamilton is a member of the Swatch group, the largest watch manufacturer and distributor in the world with 160 production sites in Switzerland.